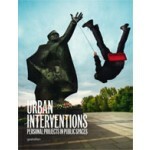 The book 'Urban Interventions. 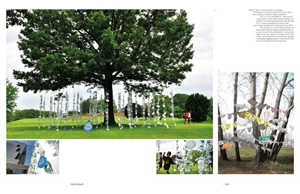 Personal Projects in Public Spaces' is a striking collection of the personal, often playful and thought-provoking installations in urban environments that use and react to walls, traffic signs, trees, ads, and any and all elements of the modern city. Urban Interventions. 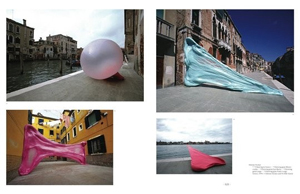 Personal Projects in Public Spaces is the first book to document these very current art projects – as well as their interplay with fine art, architecture, performance, installation, activism and urbanism – in a comprehensive way. This perceptive work brings art to the masses and helps us to rediscover our every day surroundings. Urban Interventions. 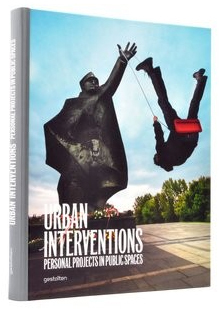 Personal Projects in Public Spaces is the first book to document these very current art projects – as well as their interplay with fine art, architecture, performance, installation, activism and urbanism – in a comprehensive way. This perceptive work brings art to the masses and helps us to rediscover our every day surroundings. It challenges us to question if the cities we have are the cities we need while adding a touch of magic to mundane places and situations.